Angelo explores the death of Angelo Tsakos, a 16 year old, shot by police in 1985. 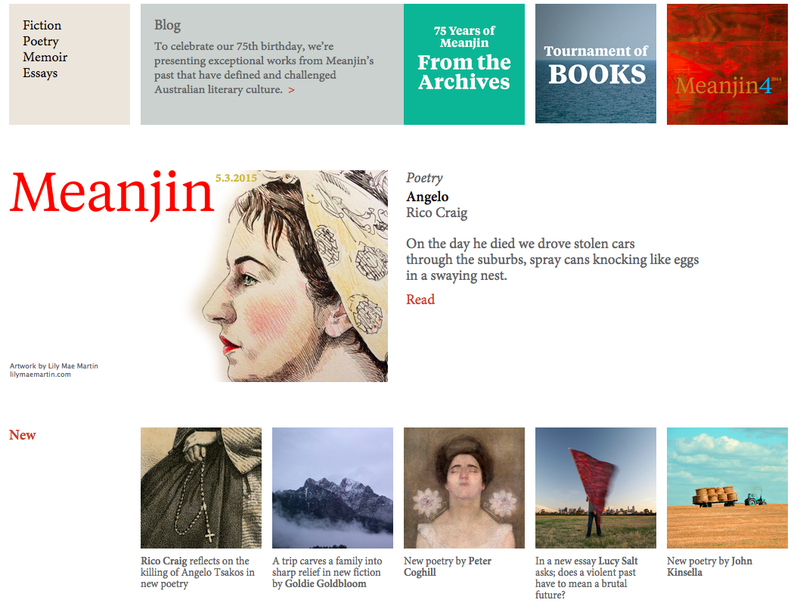 Here’s an extract, the rest is up at Meanjin. lustre we might’ve been mistaken for men. for bullets through a windscreen. Hey Antony, thanks so much. I really appreciate it. I’m glad you took the time to read Angelo, and glad you let me know your thoughts. It means a lot to me that the poem is out there touching people. Thanks.